This year’s upcoming AIA Triangle tour will feature one of the homes we completed for Tonic Design and Construction in early 2011. This award winning home was our first with Tonic and has received loads of national and local recognition over the last year and a half. Needless to say, it’s a truly awesome home and is completely worth the trip if you decide to get tickets: http://aiatriangletour.com/residences/ We are super excited to have some of our work included on the tour! Give us some feedback if you make it out and get some ideas for your home! 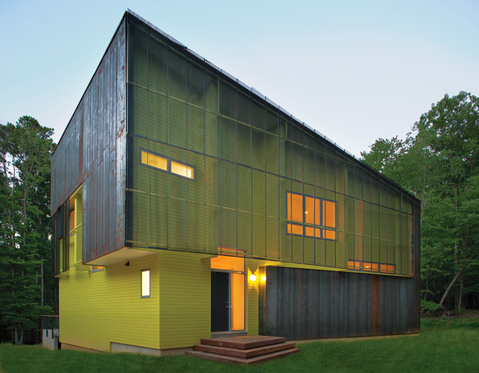 This home featured in Dwell magazine, was a great project to work on! We work with many local contractors doing projects that require special knowledge of the latest standards in green electrical.